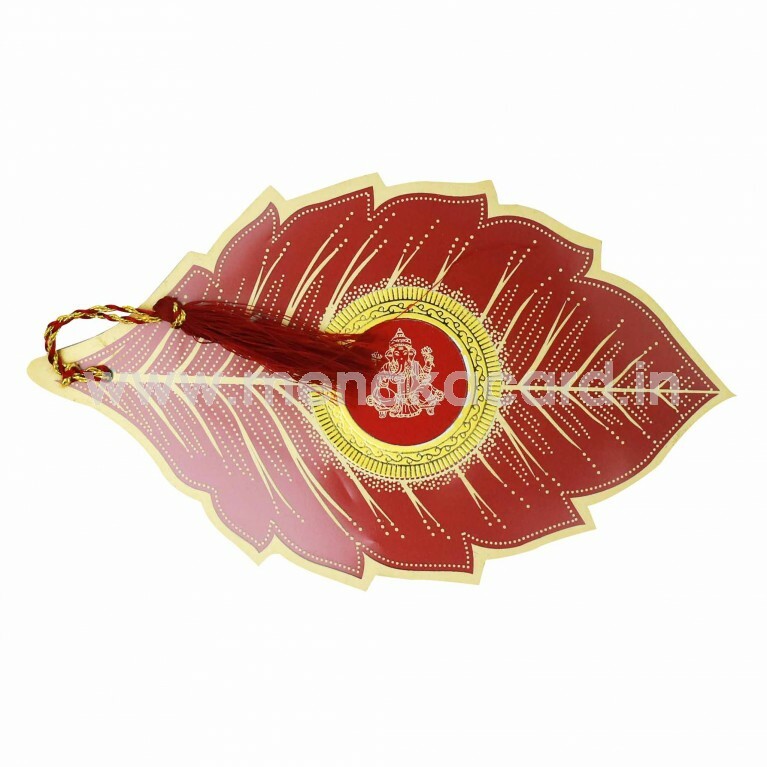 This Charming Leaf die-cut card is held together by a beautiful gold thread at one end and is made from a maroon metallic board. 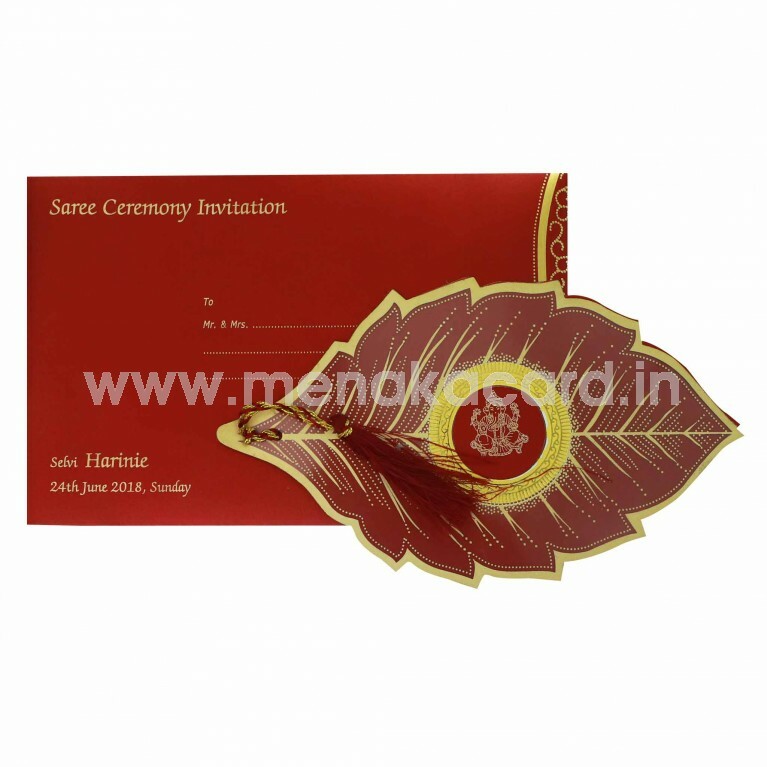 The front of the card has a transparent sheet imprinted with a delicate leaf pattern on the front and has a die-cut window at the centre revealing a delicate traditional Ganesha on the sheet below. The two leaves of this card contain the same shape and have the content printed in a rich gold text. 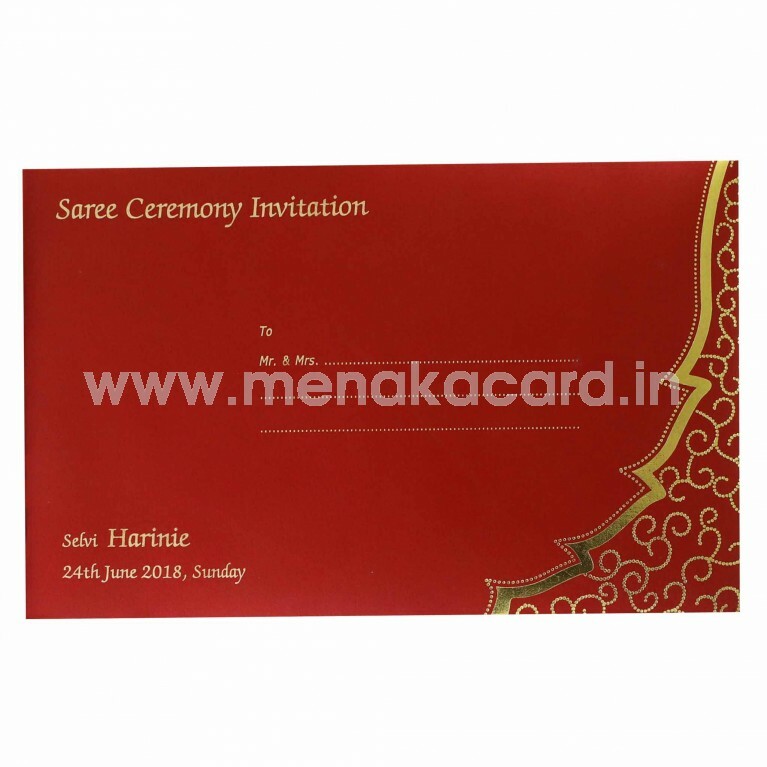 The envelope is a simple cover made from a maroon shimmer board and contains the text printed in a contrasting gold. 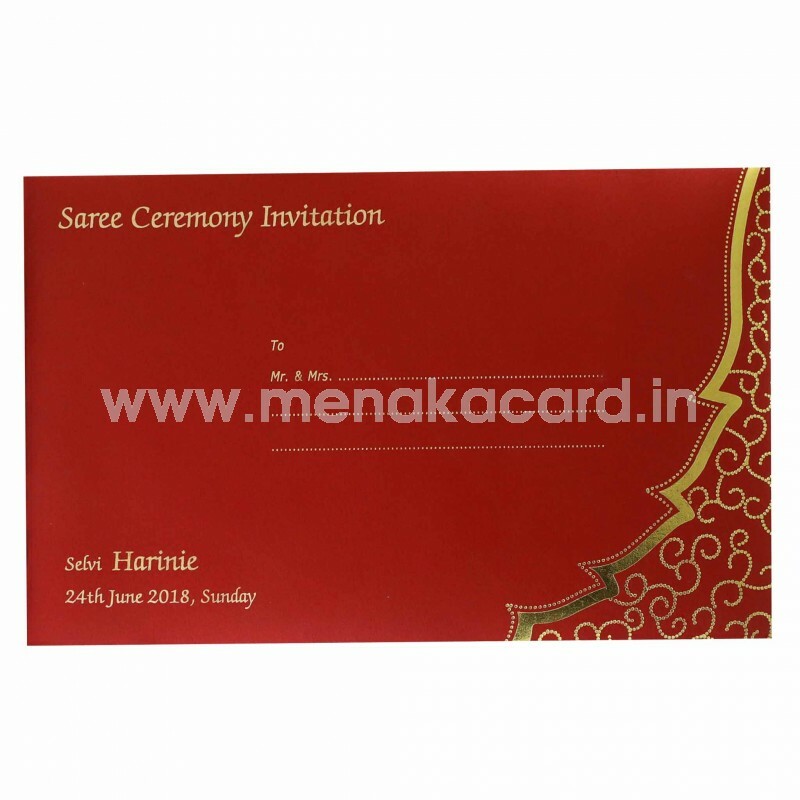 This can be used for Saree functions, Grahapraveshams, Personal invitations to friends and colleagues for weddings and other such functions.